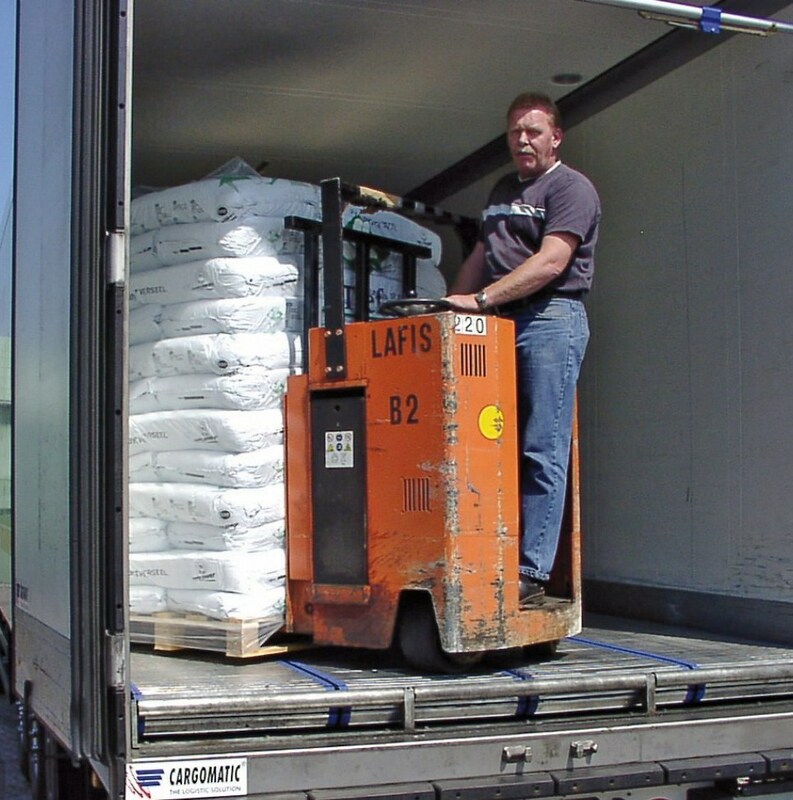 The CargoMatic system cannot be driven over with a forklift truck. We can, however, additionally reinforce the system so that you can drive over it using an electric pallet truck up to 2 tonnes (incl. load). The aluminium subframe is provided with additional centre supports over the full length of the system. In addition to the standard single support, two extra support profiles are included for each slatted conveyor belt on both sides made of plastic bearings. This results in a 3-fold support for the slatted conveyor belt. This means that the slat is supported in such a way that the CargoMatic system can be driven over using an electric pallet truck.